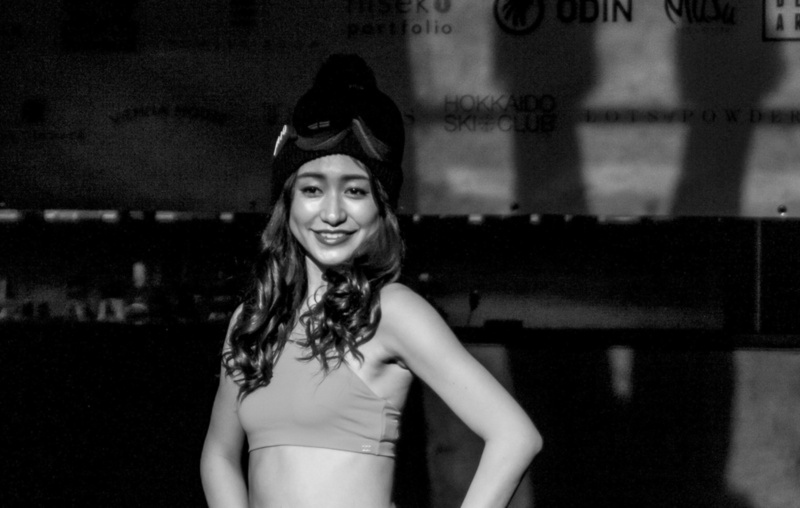 Meet Akina Abe, university student, dance enthusiast and the winner of the first Miss Niseko Pageant, held at the Powder Room Niseko on 2 March 2019. Organised by Powder Room Niseko, 9 contestants from around the world – Malaysia, Hong Kong, Japan, Europe – competed for the coveted title of Miss Niseko 2019. Attended by VIPs and local sponsors, the pageant was hosted by Ruffa Gutierrez, a Filipino actress, and judged by Miss World Japan 2016, Priyanka Yoshikawa. How does it feel winning the first Miss Niseko pageant? I was a bit overwhelmed as I never thought that I would win. How was your experience in Niseko during Miss Niseko 2019 pageant? It was an amazing experience for me. I had the opportunity to meet people from other parts of Asia, whom I don’t usually get to meet in Tokyo. Has life been the same since you won the title of Miss Niseko pageant? Pretty much; winning this contest has given me a confidence boost to represent Japan and help to promote Niseko to international travellers. What was your first impression of Niseko? A beautiful city covered in snow – a dreamy winter wonderland. What was your fondest memory of Niseko? Snowshoeing. It was my first time snowshoeing and it was beautiful and fun. We had so much fun hiking and playing in the snow. The view of Mount Yotei was magnificent. Tell us about some of the best food you’ve had when you were here. Did you have a favourite? The hot pot from Ryunabe was delicious. The soup was tasty and the quality of fish and meat were also good. I would have them every day if I could. What was your inspiration for the art piece you did at Powder Art Niseko’s Art Jamming Session? I took inspiration from what I saw at the snowshoeing tour, I drew the ‘pink bridge’, which, symbolised beauty to me. Beauty is in the eye of the beholder, as each person has their own unique beauty. I grew up in Chiba, in Tokyo, Japan. I was lively and energetic kid. I used to go to kindergarten very early each morning, so that I could play as long as I could before class started. We hear that you like keeping active, what kind of sports/ activities do you like most? I like dancing, yoga, and playing tennis. I try go to dance class once a week, if possible. What’s the one thing you’ve always dreamt of doing, but have yet to do? What’s your favourite season of the year, and why? Summer. I like the scent in the air at the beginning of summer. It is always exciting for me, as I anticipate the fun things to do in summer. I love going to the beach. Who or what is your best inspiration in life, and why? I believe people around you is like a mirror and a reflection of myself. So I learn from what they say and how they behave, and try to be the best version of myself. Get up and go to university, study or go to work. I major in Japanese language, as well as international cultural and social studies. If I’m able to, I’d go to dance class after work. What book are you reading now? What is one book you’ve read that changed your life? I’m reading ‘Introduction to Business Management’. The book that changed my life is a book by Wayne Dyer called ‘Real Magic: Creating Miracles in Everyday Life’. What is the beauty philosophy you live by? Understand yourself and always be happy & positive – getting enough sleep and you’ll shine bright as diamond form inside. What’s your favourite place you’ve travelled you, and what’s your best travel experience? Spain. I got to spend time with a local family for a few days and it was amazing to get to know the culture.